I just returned from a trip to Panama and I really enjoyed my time there, although I had quite the adventure. We accidentally ended up “glamping” (glamorous camping) because we had made flight arrangements to Bocas del Toro, a Caribbean island off of Panama, not realizing that the hotels were 100% completely sold out. Bocas del Toro is a very popular international tourist destination, especially for New Years, where hotels need to be booked 3-4 months out, as the island is very small. We ended up staying two nights in Bocas and two nights in Panama City, which is much more cosmopolitan than I had anticipated. For the Bocas portion of the trip, a cancellation opened up at the Palmar Tent Lodge, an eco-friendly tent lodge that is off the grid – using rain water for all water needs, solar power for lights, etc. The only available rooms were in dorm tents with 3 bunk beds. I had never done anything like this so I tried to embrace it, but in actuality, there was not much “glam” to the glamping. We were one with the earth. Monkeys playing in the trees, an abundance of insects, lizards, strange sounds in the night, pimped out outhouses as bathrooms, cold rain showers…it was very basic, and took a lot of getting used to. The plus side was the soothing sound of the ocean waves as I went to sleep, and the beautiful night sky where the stars where plentiful and literally shining like diamonds. We looked at the stars in awe for about 2 hours – a very memorable moment. The temperature was also nice and warm, in the upper 80’s – a welcome change from the winter cold in Chicago. 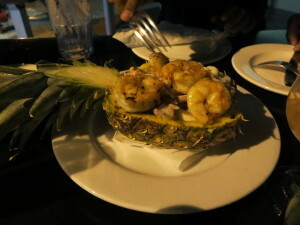 The food in Panama was delicious all-around, especially the seafood. In Bocas, we visited a restaurant called the Pirate, and I had a delicious whitefish covered with a curry sauce, coconut rice, steamed vegetables and sweet plantains. 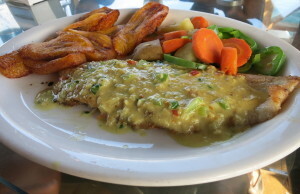 The fish was perfectly cooked – I will note that the fish was a little on the salty side, and we experienced this at multiple restaurants, so perhaps this is the way they season it – still very tasty, especially with the sweet plantains to balance it out. Bocas is also known for the very inexpensive lobster and shellfish options. I did not partake as I am allergic, but definitely good to know if you enjoy shellfish. Many of the smaller restaurants in Bocas had a very lightly fried whitefish that was incredibly fresh and delicious. On a snorkeling trip, we stopped at an ocean restaurant oasis, where they served this fish and I also had an amazing Cuba Libre drink – Coca-Cola, Rum and fresh lime juice. Perfectly balanced and SO delicious. During my time in Panama City, we took advantage of the many varieties of baked empanadas (meat pies) that were in various hotels and shops. 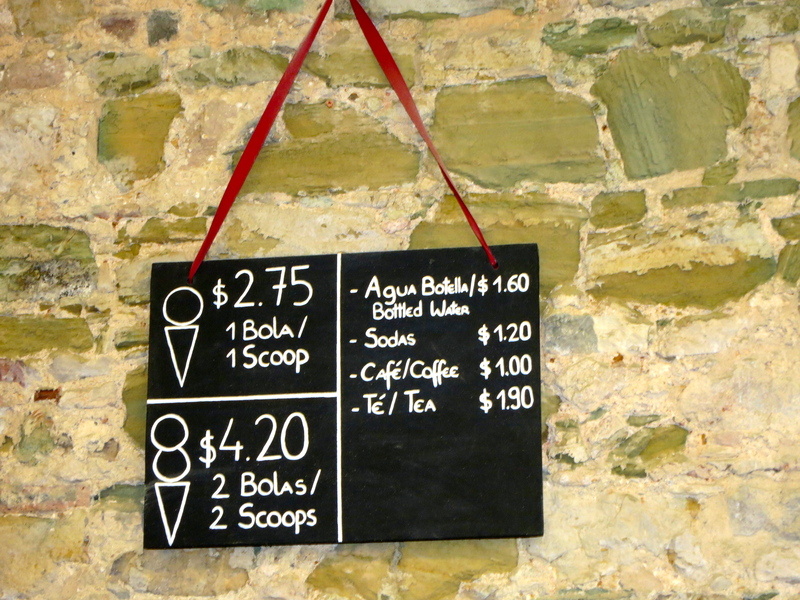 The empanadas were great as a to-go snack to eat for later (i.e. on a flight). Highly recommended. In Casco Viejo, (the Old Town section) we visited a restaurant called Casablanca, which was located in an open square. We sat outside in the evening and listened to the sounds of a live harp player. The food was delicious – once again I got seafood – a whitefish in a rich buttery sauce. 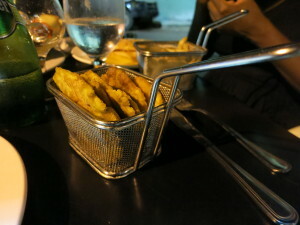 I also had some plantains, which were served in these cute mini fry baskets. Plantains in mini fry baskets. 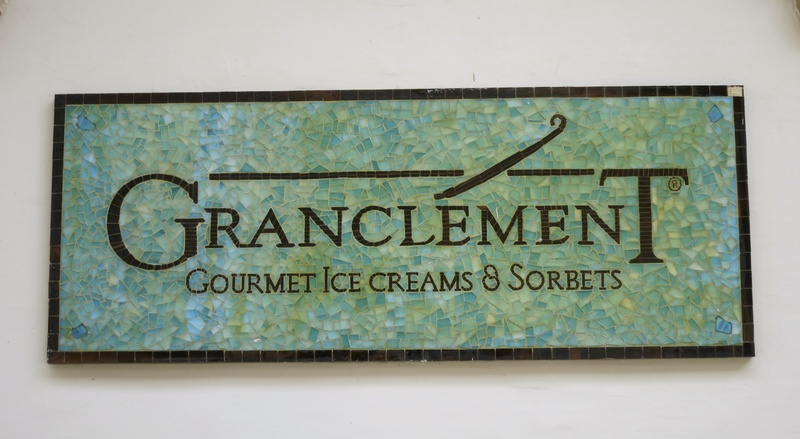 The Casco Viejo area has a number of cute shops and restaurants, including a French Ice Cream shop called Granclement , which also makes the cones from scratch. 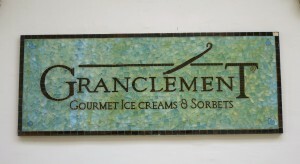 I thoroughly enjoyed this ice cream – it was very rich and flavorful, and they had a nice variety of interesting options. 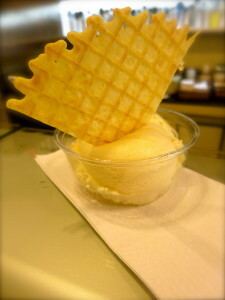 I had the vanilla bean ice cream because the vanilla flavor was so strong – a refreshing treat for a warm day. One must get coffee in Panama, because the coffee beans are harvested in the mountains of a region in Panama called Boquette. I was told that the coffee is very good and strong (I am not a coffee enthusiast). There are also tours of the coffee farms in Boquette that are available. I didn’t get a chance to make it to this area, but if I return to Panama, I would put this on my list. Overall, I enjoyed my trip to Panama, and would encourage anyone to visit, and experience the food and culture. Flights to Panama are relatively inexpensive from the states, and the country offers so much to do – whether you want to stay in the city, visit the mountains or take a day trip to one of the islands, there is something for everyone. Below is a link to a video summary of my trip. Enjoy!